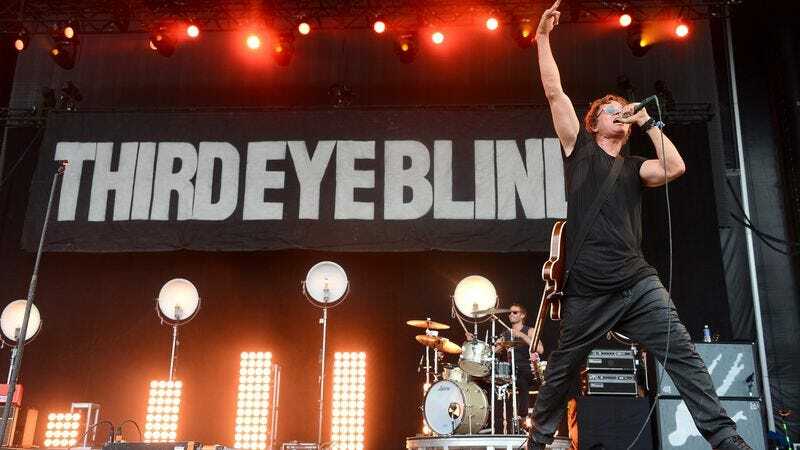 In a hot bid for the saddest news story of 2016, The Athens Banner-Herald reports that an Atlanta man was arrested on Saturday after boarding Third Eye Blind’s tour bus and refusing to leave. That’s just one of a number of surprising elements in this lamentable tale, beginning with the fact that Third Eye Blind still tours. According to a police report, Kevin Gerald Knoblich “just wanted to tell members of Third Eye Blind that he enjoyed their performance” at the Georgia Theatre. “He said that he was told to leave and was later slapped and punched for no reason by the band’s tour manager,” the report continued. When police arrived on the scene, they found a group of people pointing at Knoblich, who was clad in a ripped polo shirt and an aura of unspeakable existential despair. The authorities promptly arrested Knoblich and charged him with disorderly conduct and public intoxication.